At the 2009 ASSE conference in San Antonio, Louise Vallee, vice president, Chubb & Son Insurance , told an audience of safety professionals that We could very well see hearing loss problems continue to increase into future generations. Vallee noted that, Baby Boomers have attended rock concerts and engaged in noisy recreational activities for nearly 50 years. Why is this important? Good question. To answer that one need look no further than the Bureau of Labor Statistics numbers, there are more than 78 million boomers, and that translates into one person turning 60 every day in the United States. According to a 2004 study from the University of Alabama hearing loss is more widespread among Baby Boomers than previously estimated, potentially affecting 38 million people between the ages of 40 59. Earlier estimates from the National Health Interview Survey by the National Center for Health Statistics indicated 16 million people (20%) in a comparable age group (i.e., between ages 46 64) were suffering from hearing loss. According to Vallee, hearing loss is causing communication difficulties between coworkers; hearing loss also affects personal relationships and creates feelings of isolation. 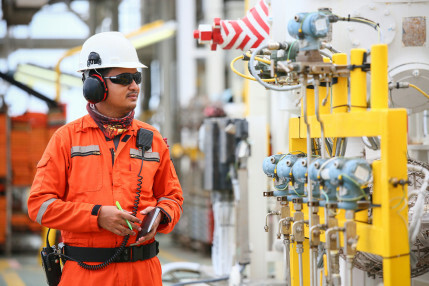 Particularly in industrial settings like manufacturing and construction, Valle says employers need to be aware of regulations concerning noise hazards and monitor workplace conditions accordingly. 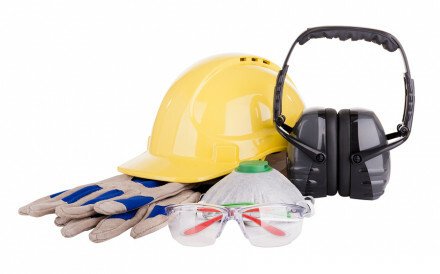 Audiograms and hearing protection devices are required for all employees whose exposures equal or exceed the OSHA action level, which is an 8-hour time-weighted average of 85 decibels or a dose of fifty percent. According to OSHAs regulatory requirement (29 CFR 1910.95), employees must be afforded the above, within 6 months of the first exposure at or above the action level, and the employer must establish a valid baseline audiogram against which subsequent audiograms can be compared. These tests and protection shouldnt be taken lightly by either the employer or the employee. It is critical that employees understand that these regulations exist to protect them from living out their golden years without the ability to hear. When you consider the life experiences you are risking by not fully protecting your hearing it seems unfathomable that anyone would ignore the warnings, but we do. According to the House Ear Institute, (HEI) of Los Angeles, California; exposure to excessive noise causes approximately 30 percent of all hearing loss (not just workplace) yet this type of hearing loss is preventable. Monitor your exposure time to sounds over 85 dB and take periodic 15-minute "quiet" breaks. (Your employer should be able to provide you with any noise related studies performed in your workplace). Avoid hazardous sound environments. If you have to raise your voice to be heard, you are in a potentially hazardous environment for your hearing. This includes loud music performances, operating power tools and driving with the windows down at high speeds. Whenever you can't get away from an extreme sound environment, wear hearing protection, such as foam, silicone or pre-molded earplugs, earmuffs or custom earplugs. Look for products with noise-reduction ratings (NRR) of at least 22dB. 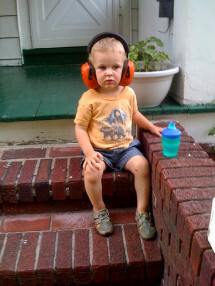 To hear music and conversation clearly, look for high fidelity hearing protection. They will reduce all sound frequencies equally, and can often make listening to music more enjoyable than without any protection. Shooter's plugs combined with earmuffs should be used for hunting and target practice. All can be found over the counter at your local drugstore or sporting goods shop. Move away from on-stage monitors or amplifiers. Position yourself so you are not directly in front of the speaker while performing or listening. Musicians should avoid practicing at performance levels when possible. If you suspect hearing loss or notice sudden changes in your hearing or have ear pain, see an otolaryngologist (ENT) or otologist. Also, have your hearing tested by a licensed audiologist.